Psoriasis is a long lasting skin condition, one of the hardest to treat of the skin conditions, along with eczema. According to Wikipedia, more than 2% of the total world's population is affected by this problem. But, the medical world is yet to come out with the exact cause of this problem. Accordingly, there is no known cure for psoriasis. In general, it is considered as an autoimmune disorder when your faulty immune system sends wrong signals to your body causing exponential growth in your skin cells, resulting in thick psoriasis patches on various parts of your body like scalp, knees, elbows, back, forehead, behind the ears, underarms, under the breasts and other parts also. These skin patches are reddish white or silvery white in color. Increased skin dryness and inflammation are associated with these psoriasis flakes. As pointed earlier, as of now, psoriasis can't be cured, but can be managed to live a better life. 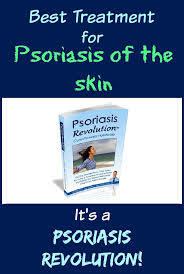 Modern medical science is still clueless about the psoriasis cause and varieties of steroids based topical treatment medications are prescribed to control the symptoms. Topical treatment medications are those medications which are applied on your skin directly like creams, shampoos and oils. Coal tar based shampoos and salicylic acid based creams are very common. Also, steroidal immunosuppressants like methotrexate are given to the patients to calm down the immune system. The patient is supposed to use these medications for almost the whole lifetime. Hence, the potential side effects of these steroid based medications can't be denied. For example, the use of methotrexate in the long term can have negative effects on the liver. Similarly, alcohol also damages in lives in the long run. So, if a person consumes alcohol regularly and taking methotrexate to control psoriasis, then the combined effect of alcohol and methotrexate can severely damage the liver in the long run. That's why a holistic healing approach is attracting more and more people to manage their psoriasis. Diet plays the most important role in psoriasis healing as far as holistic healing is concerned. Impaired liver and poor digestive system coupled with stress can increase the level of body toxins beyond permissible limits. Consuming a diet which helps in body detoxification, boosts the body immunity and most importantly, easy to digest is a very good way to make peace with psoriasis. An ideal psoriasis diet would include eating a lot of fresh fruits and vegetables and whole grains. Most of the green vegetables are alkaline foods and they are highly recommended to drift the body pH towards optimum body pH level (slightly alkaline). Drinking a lot of water and fresh green juices is also beneficial. Various foods which are not good for psoriasis are: animal fat like dairy and red meat, allergy causing foods like wheat gluten and nightshades, sweetened carbonated drinks, caffeinated drinks, highly processed foods like bakery, pizza and pasta. Minimizing the consumption of alcohol and smoking is also highly recommendable. © Copyright 2017 All Rights Reserved! . Simple theme. Powered by Blogger.